"MedExpert" Group of companies was founded over 20 years ago. The projects we had successfully implemented since then are a matter of pride for all of us. The importance of "MedExpert" work over the years was recognized by the National Business Rating gold award in 2016. Our main task is to inform specialists on the most current advanced scientific developments and researches. We acquaint our audience with innovative inventions and technologies in different fields of medicine. Our aim is to help practicing physicians and clinicians to learn more about the latest health issues and medical breakthroughs. The "MedExpert" Publishing house was established in 1997. 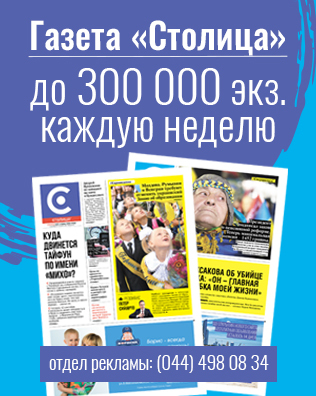 It became one of the leading publishers in the medical media space of Ukraine since then and we are determined to keep this position. Our publications high ranks in specialized ratings may confirm this. Our competencies are also presented on various events, programs and project we hold out for practicing physicians. MedExpert Publishing House features on medical periodicals since 1997. Our products are various journals for doctors, clinicians and healthcare administrators of various specialties. Our publications are focused on the information about new researches and developments in medical science and on the latest issues in different fields of medicine, which are to be implemented in medical practice. Our experts are not only recognized Ukrainian scientists and highly skilled specialists, but also leading experts in their respective fields of medicine from the Baltic States, Poland, Great Britain, Moldova, France, Italy, Turkey, Israel, China and other countries. MedExpert Publishing House offers European-style periodic with an innovative for Ukraine approach to content and major subject covering. All our journals have large circulation for the specialized medical periodicals and are respected in professional sphere; our publications are accessible and useful to readers. Each of MedExpert journals is considered to be the best relying on the highest positions in the specialized rankings. “Sovremennaya Pediatriya” is a journal that fully represents the level of modern pediatric science and pediatric medical service in Ukraine. Each issue of the journal offers essential assistant to a practicing pediatrician. “Health of Woman” is the leading scientific and practical journal covering all aspects of medical practice dealing with the women healthcare . 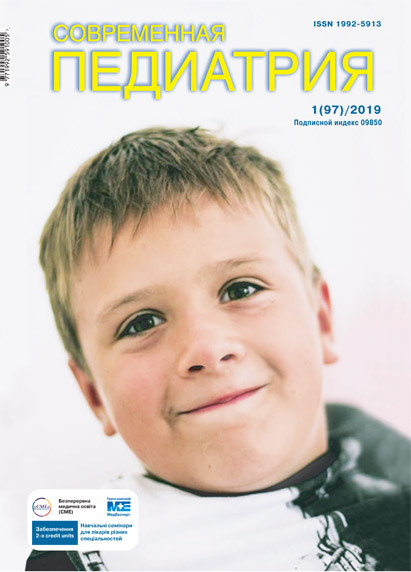 “Perinatologiya i Pediatriya” is the only specialized medical journal in Ukraine that covers all stages of a child's development and growth from conception to adolescence. “Rehabilitation And Palliative Medicine” is an international journal that tells about forms, methods and technologies of medical and social rehabilitation and palliative care used in nowadays world practice. "Paediatric Surgery" covers modern world medicine approaches to diagnosis and treatment of diseases that may require pediatric surgery and tells about new techniques and methods of surgical operations. Journal provides the most current source of information and references in pediatric surgery in Ukraine. The credibility of our journals is recognized by including in the international science-metric databases. All articles published in our journals are assigned Digital Object Identifier (DOI). Resolution of the Higher Attestation Commission of Ukraine, are included into the list of specialized scientific editions for publication of the original research results by authors prior to be awarded the advanced academic degrees (PhD, Doctor of Medicine) . Since 2010 MedExpert company has been organizing the annual scientific and practical seminars and trainings for doctors of various specialties — pediatricians, general practitioners, family medicine physicians, obstetrician-gynecologists, neurologists, gastroenterologists, dermatologists, pulmonologists, allergists, immunologists, dentists, etc. We constantly expand medical majors and specialties our scientific and practical seminars cover up. The seminars goal is to inform doctors on the latest issues in different fields of medicine, based on the benefits of evidentiary medicine and international standards of healthcare and treatment confirmed on practice. Cycles of scientific seminars and practical trainings are included in the national events register of public healthcare and are conducted according to the Memorandum of Cooperation with the Ministry of Healthcare of Ukraine . Our seminars are the part of physicians post-graduate education and advanced professional training complex system. The participants of the national seminars receive a qualification certificate (from 2 to 5 points), which is taken into account in the certification process. We involve the key non-staff specialists of the Ministry of Healthcare of Ukraine, representatives of the leading scientific and research medical institutions and territorial healthcare authorities to take part in the seminars. We are convinced in the importance of providing of these activities not only within Kiev. Therefore, we organize outbound scientific and practical medical seminars and trainings all over Ukraine. In 2012 MedExpert has implemented teleconferences project to improve communication model in medical sphere. Modern technologies allow doctors from different regions of Ukraine take online educational lectures or courses by the leading specialists and the most qualified physicians and participate in scientific discussions being remote from one another and staying at work. Considering 20 years of experience we feature and wide opportunities of cooperation with medical specialists in all regions of Ukraine, MedExpert offers pharmaceutical companies resources for unique marketing promotion of their goods and services in the healthcare field. The pharmaceutical companies distance participation in MedExpert events makes it possible to represent advertising materials at our stands, to carry out specific surveys and to obtain the participants target audience database. MedExpert Group of Companies considers activities focused on social responsibility to be a compulsory response to the challenges of the time. Our experts are involved in various social projects. We try not only to draw society’s attention to the people with special needs and their problems, but also to participate in helping disabled persons in real life. Our knowledge, skills and experience are aimed at giving them a greater awareness of their right to a decent and full life.